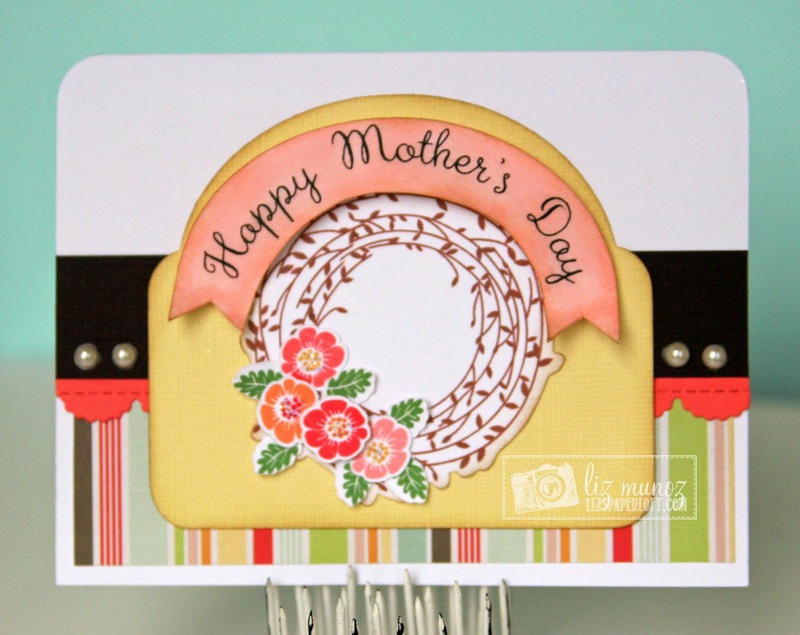 Liz's Paper Loft: MCT April Release Sneak Peek ~ Happy Mother's Day! 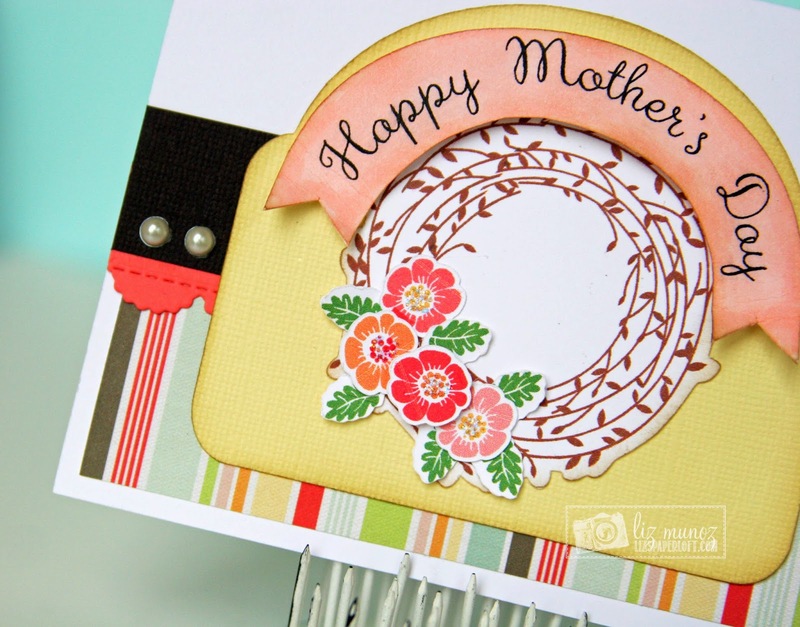 MCT April Release Sneak Peek ~ Happy Mother's Day! Hi Everyone, welcome to Day 1 of My Creative Time's April Release Sneak Peek! I'm so excited that the sneak peeks are finally happening! This has been a hard secret to keep. I know that every month one of us on the MCT design team says that "you'll be blown away by the new release" well it's true again!!! Today we are featuring Pretty Spring Wreaths and Build A Pretty Flower sets! I've used the fabbie Pretty Spring Wreath set for my card. You are going to love this set with all of it's bit and pieces to make a wreath for any season! OH My Gosh your card is so gorge!!! Love the colors you chose. HMMMM love too that half moon banner at the top definitely a cute look. Beautiful! I love how your wrapped the wreath with the banner sentiment. This is so beautiful! I just love how you made your wreath with the cluster of flowers! What a beautiful card Liz!!!! LOVE that wreath!!! I love your card Liz, so pretty and such fabulous color choices! I am loving this sneaky peek too, I love wreathes so this peek is very exciting for me. Thanks for the peek! What a pretty card!! I love how you created the banner over the wreath!! Lovely card! I love the wreath design! The colors are lovely as well. great card! I love the flowers! So very pretty. I love all the MCT products you used to get all the different layers for your design. Your card turned out just beautiful. What a Beautiful Card. It's sure to brighten someone's day. Pretty colors, pretty stamps, pretty design! Love the card Liz! your card is really lovely!!! The flowers on top of the wreath look pretty and seem to match the stripe paper. The curved sentiment has such a pretty font. The inking adds dimension and the pearls are perfect. Fabulous job on your card...I know I will love these sets a lot...can't wait! 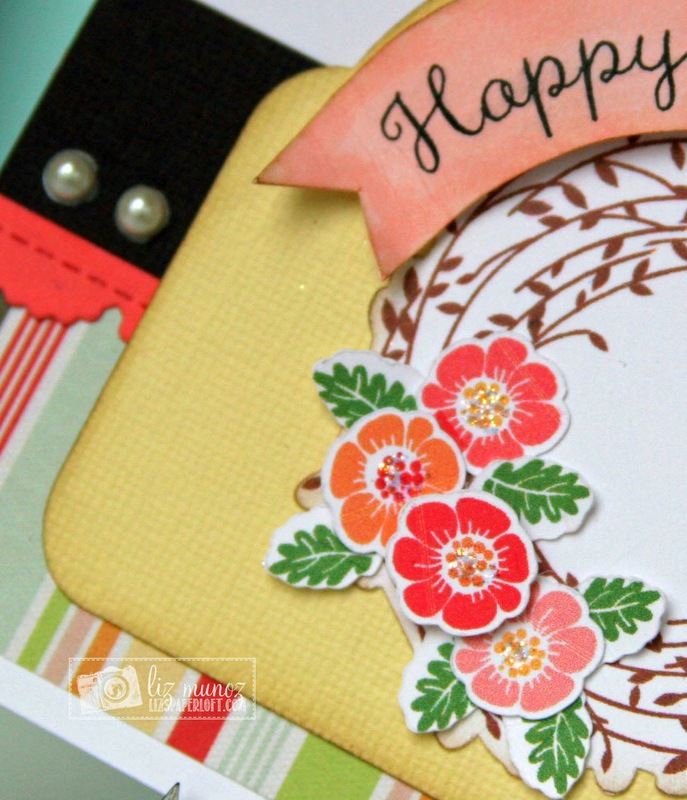 Love that wreath stamp and the design of your card! Thanks so much for the chance to win! Super super cute card:) This new release looks fabulous. Thanks for sharing! Beautiful card! Love the banner sentiment! Gorgeous card Liz! The wreath is so pretty and love the stamping on the curved banner! Your color choices and layout are wonderful. The banner on top of your wreath is great. So pretty. Love your wreath. Lovely card Liz! The new stamp set is very pretty, TFS! Cute card. I love the colors and the curved sentiment. Love the banner over the wreath. Love this stamp set. Your card is so pretty. Liz ~ Well this card is simply GORGEOUS! I LVOE how you fussy cut around the wreath and the flowers! The colors are GORGEOUS too!!! BEAUTIFULLY done as always! Stunning Card, Love the Flowers so perfect. So pretty! Love how you did layers on your wreath!